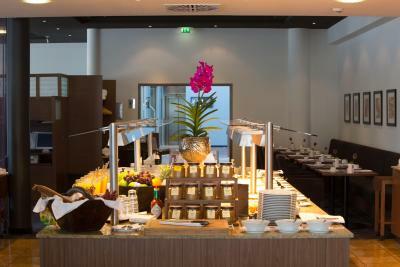 Lock in a great price for Dorint Hotel am Dom Erfurt – rated 8.3 by recent guests! 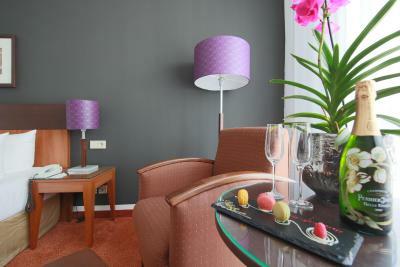 Great location near the DOM, lovely rooms with AC and comfortable beds. 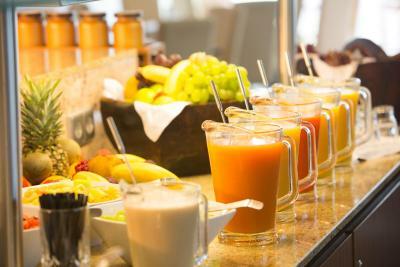 Awesome breakfast buffet and such helpful staff! Wonderful! ROom was clean and comfortable. Nice bedding. Modern coordinated decor. Two twins pushed together as they do often in Germany. 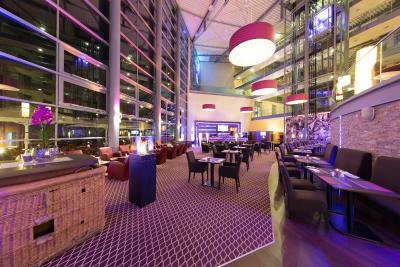 Hotel has a large airy atrium and a fancy restaurant and bar. It was just after Christmas and they still had lovely decorations up. Great location for walking around the old city of Erfurt. Location. Helpfulness of staff. Areas for relaxation in the atrium. Lighting system let me turn out all room lights from my bed. Breakfast was excellent! Hostess was the nicest person we possibly encountered in all of Germany. Room was great! Location was wonderful! For some it was too far from center of town, but we liked the location as it was quiet and easy to drive to. Walking to anywhere was easy. Clean room; easy parking; could walk everywhere from this location. The Hotel is a chain we've used before. 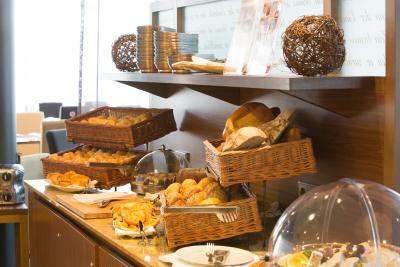 The breakfast and room were very good. They had secure underground parking at 20 euros a day. It is about a 10 minute walk to the central shops. Staff were helpful and polite. Nice situation in the heart of the town. Big and comfortable rooms. Good price-performance ratio. Big room, very clean. Good breakfast. Nice temperature in the room, very comfortable bed. Sincerely, it was a pleasure to stay in the room. 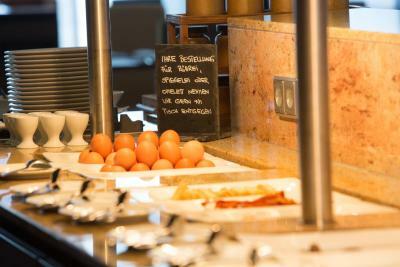 Dorint Hotel am Dom Erfurt This rating is a reflection of how the property compares to the industry standard when it comes to price, facilities and services available. It's based on a self-evaluation by the property. Use this rating to help choose your stay! 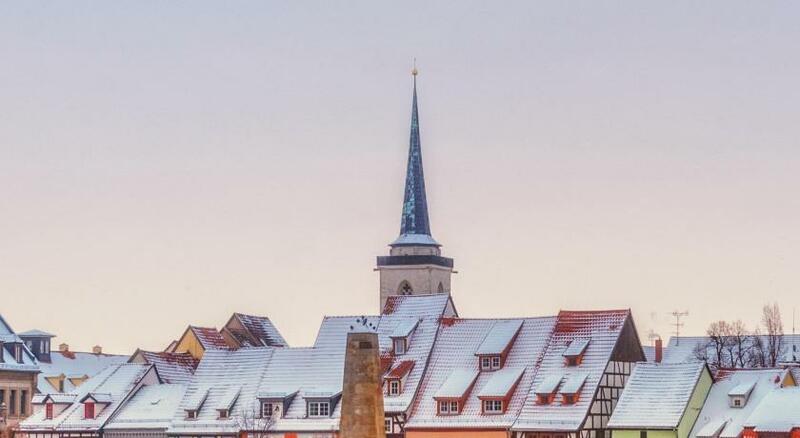 One of our top picks in Erfurt.This 5-star hotel is located in the heart of Erfurt’s Old Town district, a 4-minute walk from Erfurt Cathedral. 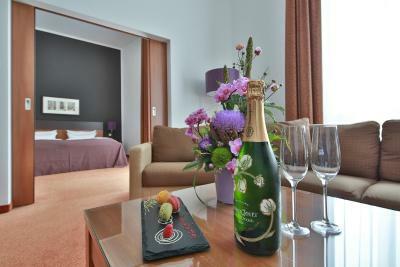 The Dorint Hotel am Dom Erfurt offers elegant rooms and a spa area. 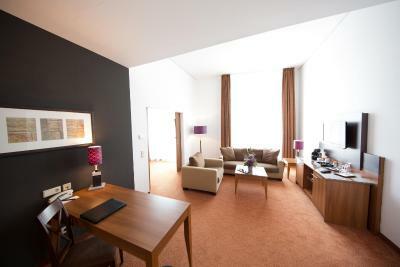 The spacious rooms at the Dorint Hotel am Dom Erfurt feature modern décor, rich fabrics and soft lighting. All rooms are air-conditioned and include satellite TV. Every bathroom includes a bath or shower, as well as a hairdryer and cosmetic mirror. 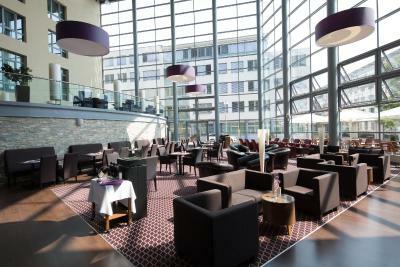 The Dorint Hotel am Dom Erfurt offers regional and international cuisine in the Gloriosa restaurant. 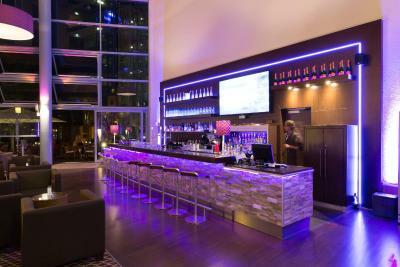 The lobby bar with summer terrace serves a variety of drinks, including cocktails. 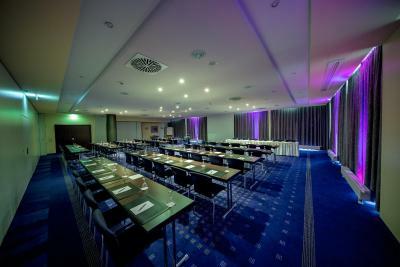 The hotel offers conference facilities for a wide range of celebrations and events. 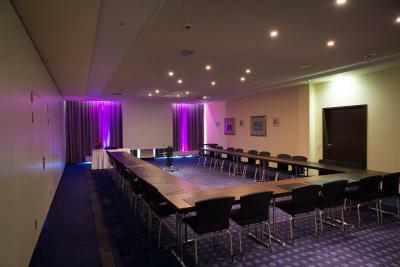 The hotel offers 7 meeting rooms and a conference capacity of up to 330 people. 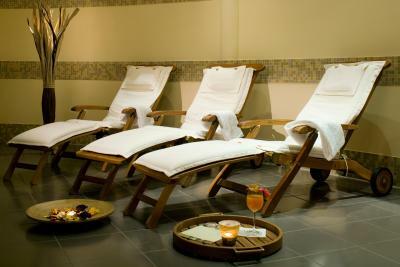 Spa facilities at the hotel’s QI Spa include a sauna, a steam room and a hot tub. 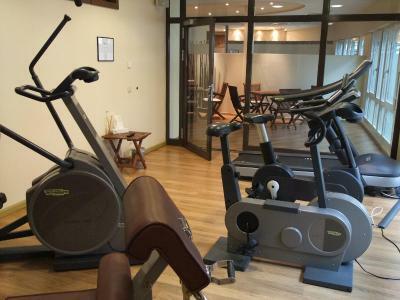 A modern fitness room is also provided. 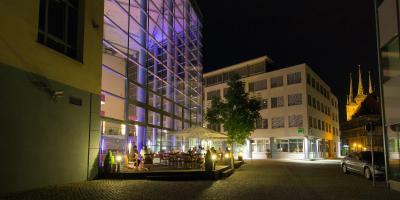 On-site parking is available (for a fee) at the Dorint Hotel am Dom Erfurt. There is a direct tram to/from Erfurt Airport, 2.5 mi away. 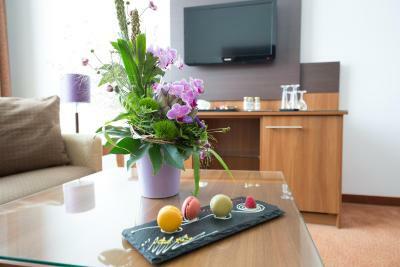 When would you like to stay at Dorint Hotel am Dom Erfurt? Air-conditioned room with a flat-screen satellite TV, mini-bar and private bathroom. Offering extra space and a Nespresso coffee machine. The bathroom has a bath with integrated shower. 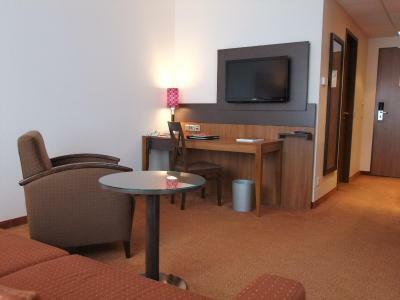 This room also contains a sofa bed which can accommodate 2 children up to 12 years free of charge. 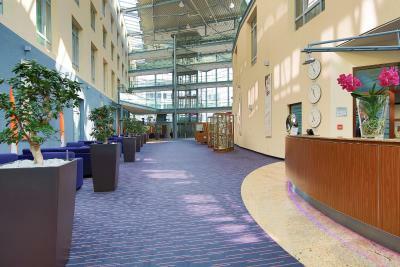 Public parking is available on site (reservation is not possible) and costs EUR 20 per day. Air-conditioned room facing the inner courtyard offers a flat-screen satellite TV, mini-bar and private bathroom. Air-conditioned suite with a living area, flat-screen satellite TV, mini-bar and private bathroom. Air-conditioned room facing a quiet street offers a flat-screen satellite TV, mini-bar and private bathroom. This triple room features air conditioning, view and mini-bar. 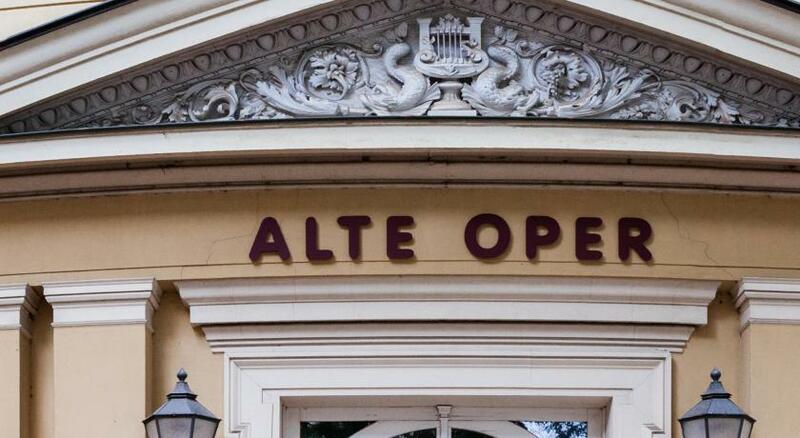 House Rules Dorint Hotel am Dom Erfurt takes special requests – add in the next step! When booking more than 7 rooms, different policies and additional supplements may apply. Debit card Dorint Hotel am Dom Erfurt accepts these cards and reserves the right to temporarily hold an amount prior to arrival. Dorint Hotel am Dom Erfurt accepts these cards and reserves the right to temporarily hold an amount prior to arrival. One of the most picturesque neighborhoods in Erfurt! Dinner at the restaurant was just ok. Hot tub not hot enough but steam room and sauna are. Nice big room and super friendly staff. all was just 10 out of 10! 2 things: no tea or coffee facilites in the room (in the evening, after a cold day, it could be nice to drink a cup of tea in the room). 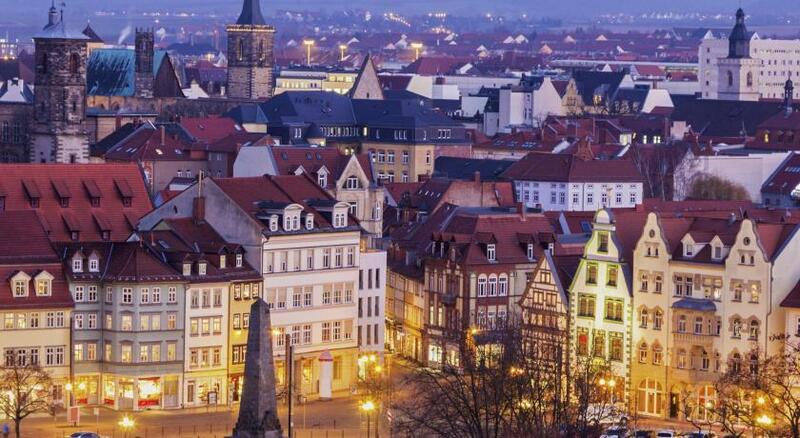 The location could be better - it is close to the Domplatz square but a much better position in Erfurt would be between Domplatz and the main train station, in the opposite direction from the hotel. There was no ironing board in the room. The facilities for ironing were not good. I had to go to a separate room on a different floor, which was a shared facility. I also needed a charger for an apple mac lap top. I thought there would have been a business centre allowing me to borrow one. In the end I purchased an apple charger. The staff welcomed us in a very cold manner. We arrived at 4pm and our rooms were still not ready. When we checked out, we were asked to pay more than it was foreseen. We received a bill stating a wrong VAT rate (19% instead of 7%). Room had a tiny TV. Free WLAN was exceptionally slow or did not work on many websites. Excellent location to explore Erfurt. Good staff and excellent bar. No iron or ironing board in the room. Central location, easy walk to restaurants and attractions. Parking garage on site was large and easily accessible. 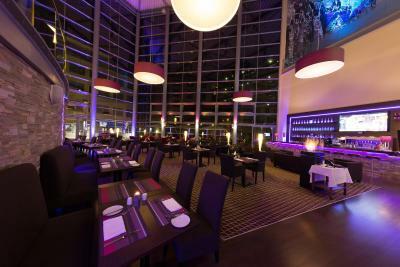 The bar is very nice, and the breakfast was excellent. Parking @ 20 eur I felt was on the expensive side.